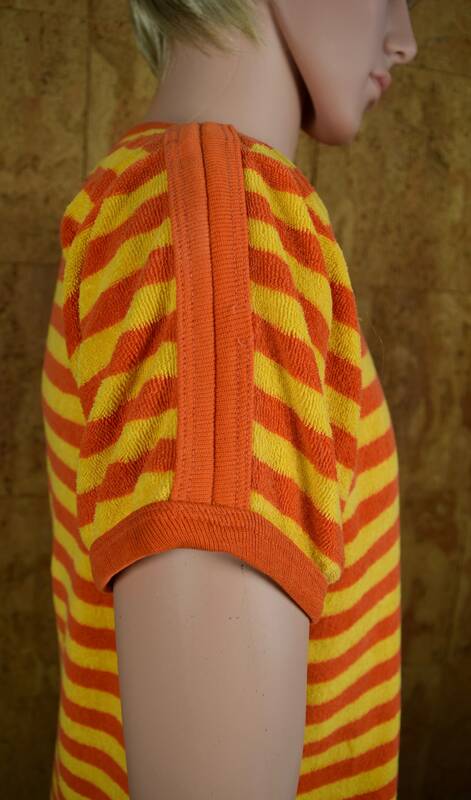 Orange & yellow striped terry cloth knit men’s shirt. Color was hard to photograph. Tagged a Size: Men’s 38-40 - Medium but is more like a size S. My mannequin is a size Small for reference. 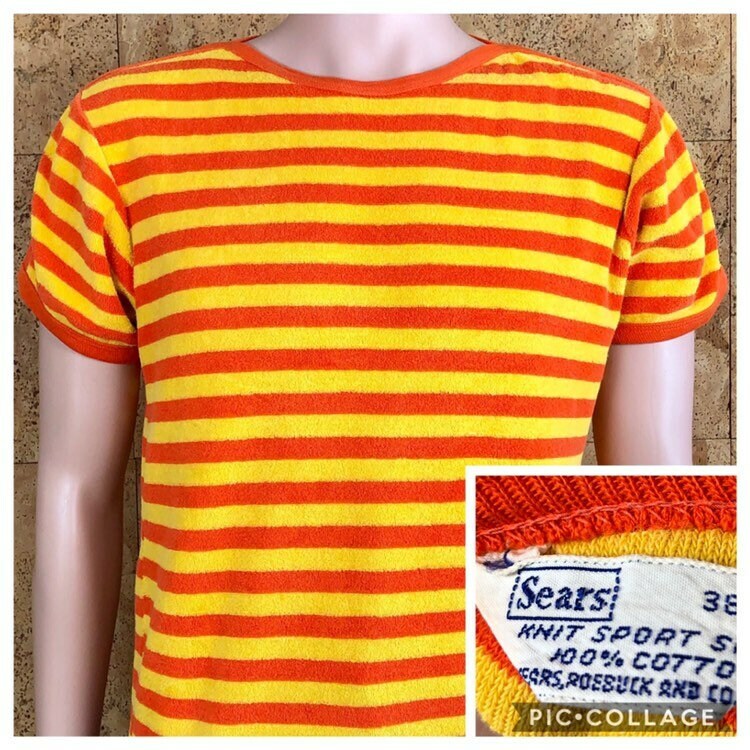 Condition: Light signs of age and wear, some dark spots on right shoulder by the orange trim. Might have been left wet at one time and mold spots developed. 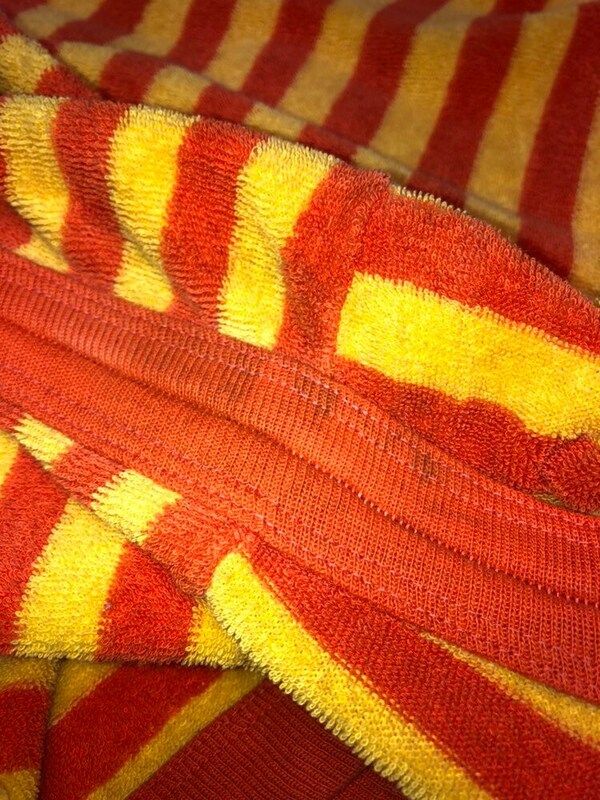 Professionally cleaned before listing and the stains would not come out. This shirt is very old. 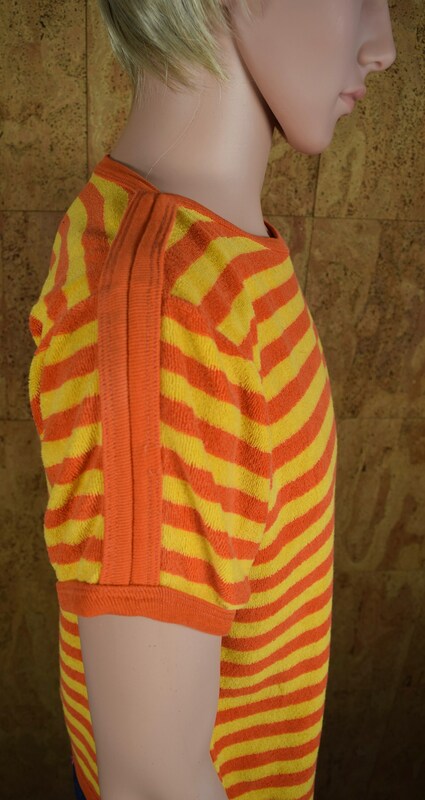 Measurements - fabric has stretch to it, this is a cotton knit. 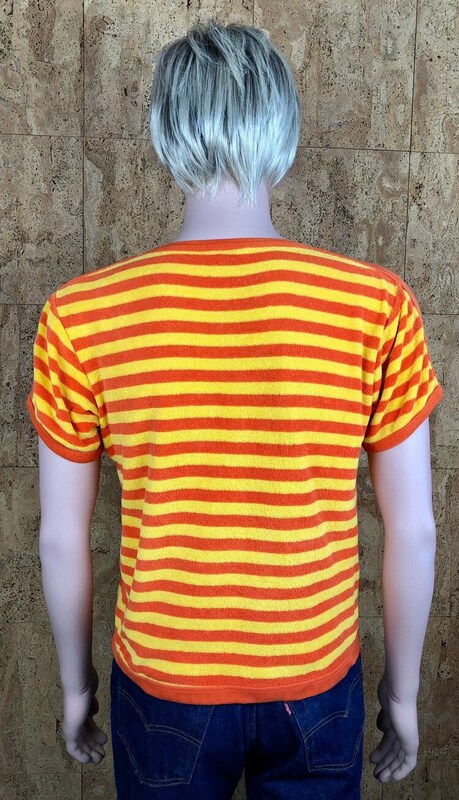 Length 23" need to wear high waisted shorts or pants with this shirt. That was the style back then so shirts are shorter. 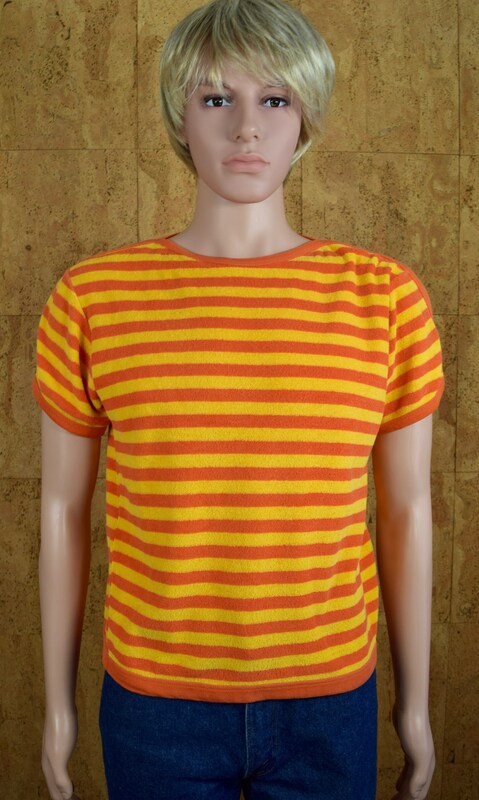 *Please check the measurements this is a men’s size small. Thank you!